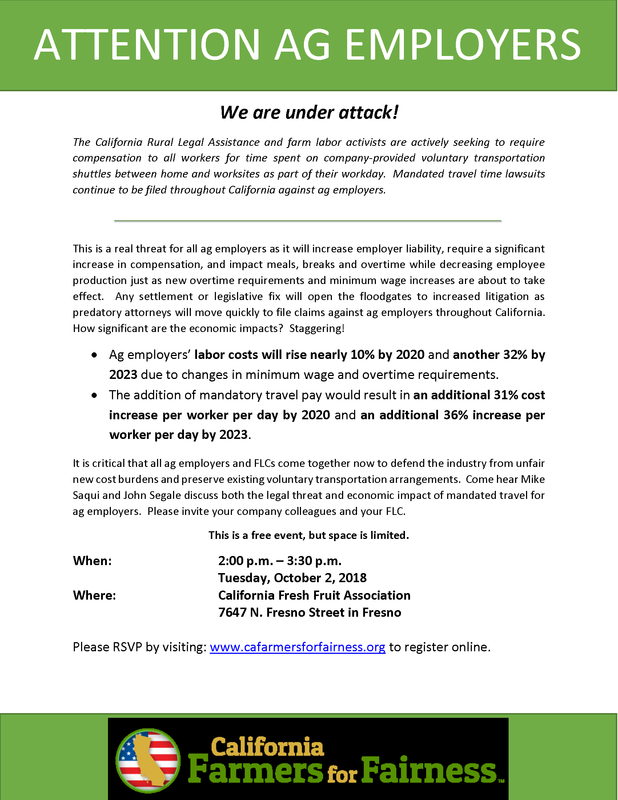 Come hear Mike Saqui and John Segale discuss both the legal threat and economic impact of mandated travel for ag employers. When: 2:00 p.m. – 3:30 p.m. This entry was posted in NEWS & ISSUES on September 24, 2018 by ccgga.